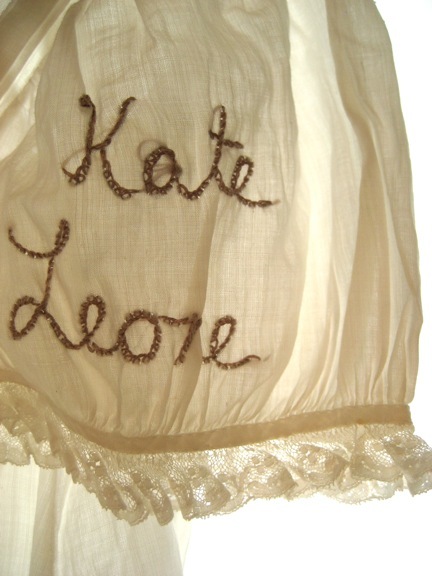 Josie chalks 14-year-old Kate Leone's name every year. This week’s Tablet magazine column is a re-examination of the usual black-and-white telling of the Triangle Shirtwaist Factory Fire story. It’s easy to make it a tale of craven fat-cat greedy evildoers causing the deaths of innocents, and then we all grieved and got workplace safety and workers’ rights and la la la all better. The reality, of course, is not so simple. What if the factory owners were not mustache-twirling spawns of Satan, but rather scapegoats for an ingrained, screwed-up system of exploitation? If we take a more nuanced view, and we don’t get to tack on a happy ending (yay, we all learned from the fire!) to the story, it’s easier to see the powerful parallels to our own workplaces. We should be using Triangle as the impetus to look hard at Scott Walker’s determination to crush Wisconsin’s unions, and at recent workplace disasters like the Sago mine, Rubashkin’s slaughterhouse and Deepwater Horizon. Marjorie: Can you drop me a line? I am wondering if you might be interested in writing a possible piece for Prevention.